To some a four letter word. To others an opiate (to paraphrase Karl Marx) to keep the masses appeased and seeing themselves as fallen. Some an introspective/meditative/positive thinking technique that removes any personal or mystical agency for the miraculous. At worst, an intercession to a man in the sky that may deem us worthy or unworthy of aid. And the stalled litany that removes mystic growth of the soul to true love communion with creation and loving Creator is removed by continuing the piece meal of pablum. Where is the meat? Those growing, become emaciated as they are not allowed out of pre-school, and those in pre-school are never given the challenge of spiritual growth into Kindergarten or Grade One (never mind 2-12 or upper colleges of spirituality) because no one wants to rock the tradition boat. Whether you are from the Abrahamic religions, Eastern spiritualities or meta-physicians. To what degree does praying in the traditional fashion support or detract from your growing awareness of your divine identity? Much like Brother Jesus in his teaching on prayer. Break the mold of what is taught by rote, without emotion, without self(lessness); without connection to the divinity that is breathed into us, and that is around us (y’know that love source we are from and return to). For it creates a false dichotomy that one method is better than another. There is no false dichotomy. All movements have their ways. Centering and grounding techniques to bring us to peace. A priest mentor gave a sermon on praying for the dead, which would be seen as the ultimate traditional form of prayer. It has been taught to pray your loved ones out of purgatory into paradise (heaven). What I loved is he pointed out that purgatory in its purest form is having whatever has kept us from the Love Source, God, purged away instantaneously upon death. So why pray for the dead? It allows us to get out of our own pain/heads/hearts and speak that which is mired deeply within us. What is that? It is grief processing? Singly, and when Mass is celebrated for the person, communally. It is healing. In the metaphysical way taught by such as Ernest Holmes, The Fillmores, and Mary Baker Eddy to name a few, it is about going within to the divine identity that always exists. Much like the Lord’s Prayer Jesus leads into with his words from the Sermon on the Mount, these methods allow us to centre and root. Hey do you notice any metaphysical steps in this? 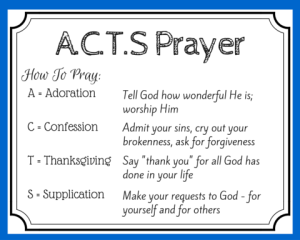 The Five Steps of Affirmative Prayer (Holmes’ way) are here. While my family prefers the method of this spirituality taught to kids. BINGO: Begin with God; Include yourself; Name your good; Give thanks; Over and Out. Close your eyes. Relax, breathe deeply, and let go of outer concerns. Quiet your mind. Begin to focus your thoughts on the spirit of God within you. With an open mind and a receptive heart, feel the peace of God’s presence. “Be still, and know that I am God” (Psalm 46:10 RSV). In the silence of your soul, know that you are one with God. Allow this realization to permeate your being. So is it talking outside or within yourself? It is communing with the love that we are sourced from. Tapping into the cosmic dust that exists within. personalized and cosmoligically. It is coming to an understanding of surrender, presence and love. This is halted when Chemicalization (psychologically may present as cognitive dissonance) sets in. When we become stuck in the pablum of life not open to the grand cosmic buffet. Martella-Whitsett (2011) defines chemicalization as “a confused state of consciousness when embedded beliefs appear threatened by the introduction of new spiritual ideas.” (p. 41). The protection mechanism of life, as change triggers the grief cycle, and the grief cycles forces us to acknowledge that we are autonomous and interdependent people. It is easier to freeze where we are comfortable than to continue the journey. That is why prayer is such a dividing line between movements, for it is within how we pray that we can label those who have “levelled up” and those who have not. Missing the point, that in the journey, many ways and means will bring us back to the grounding of understanding and resonance with God. Takes many forms as a way to centre the person and community into the true source and identity of who they are. It centres us into seeing each and every person as part of the beautiful rainbow of creation and belonging. Labels define supports, not the intrinsic worth of the person. Created in love. Meant to return to love. And most importantly, to live out of that love…to as the Christian Testament describes it…bring the Kingdom here. That is to transform our world through one humble act of compassionate love at a time. Are you willing to truly enter into prayer?